down to see several panoramic pictures. bottom of your PC screen and drag the horizontal scrollbar to move horizontally to the right or to the left). mariners who relied on it as the primary navigational light for navigating the entrance to New York Harbor. Long Island and the Atlantic Ocean. The fabulous view is 360 degrees. It is so beautiful! Please scroll horizontally to enjoy the full panoramic view, and scroll down to see more panoramic pictures. Map: Click here for interactive Google Map showing location of Twin Lights State Historic Site. different amazing panoramic view. The views are priceless on a clear day. Below the hill in front of the Twin Lights is the little Hamlet town of Highlands! 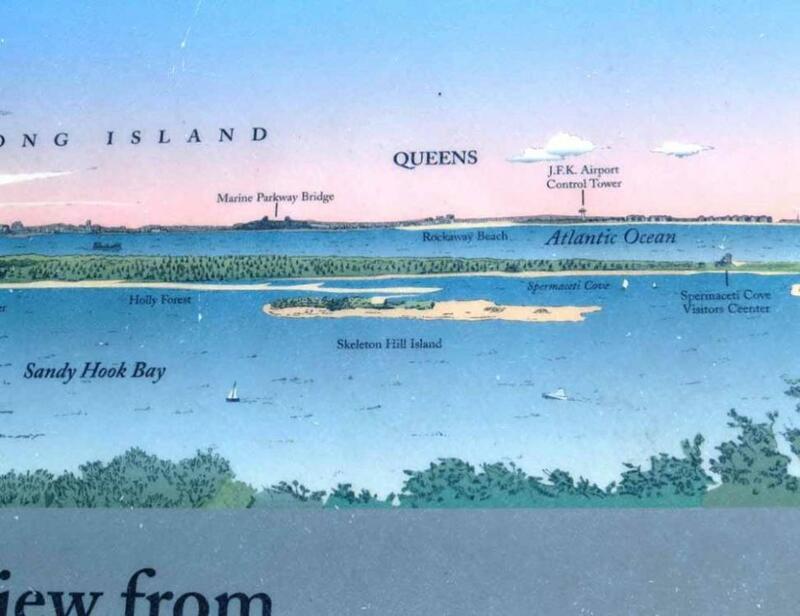 A closer view of the Plum Island with lagoons in southern part of Sandy Hook. 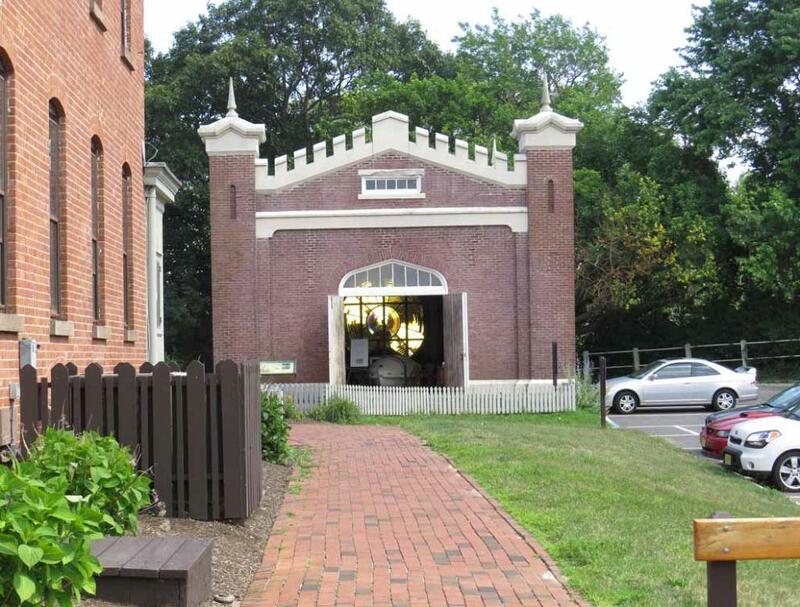 telegraph station capable of sending and receiving messages on a regular commercial basis. 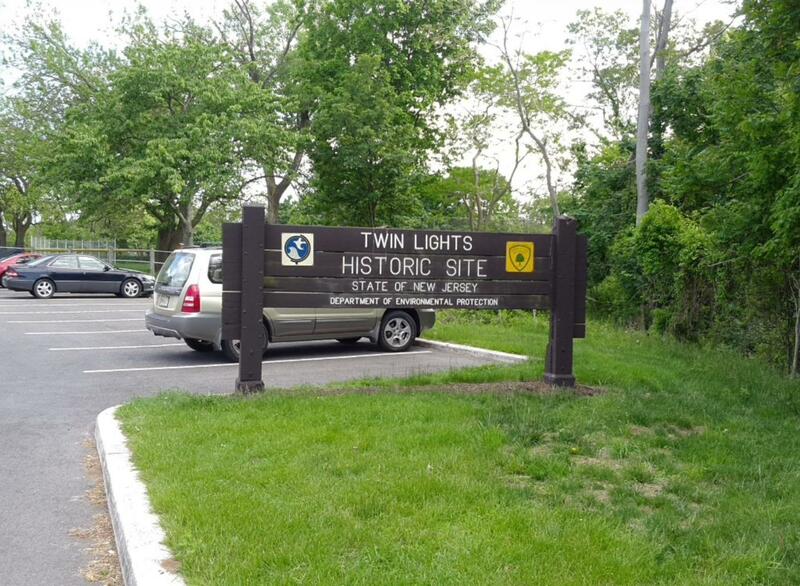 The Sign of Twin Lights Historic Site on the parking lot at the backside of Twin Lights high on a hill. towers are 73 feet tall on top of the hill. very tight squeeze near the top of the spiral stairs. 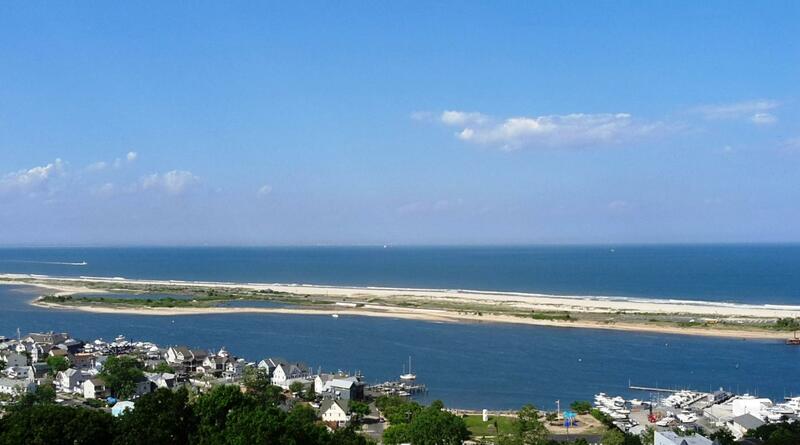 feet above sea level, Mount Mitchill Scenic Overlook is the highest point on the Atlantic Seaboard of USA. Map: Click here for interactive Google Map showing the location of Mount Mitchill Scenic Overlook. Overlook and Twin Lights on the same afternoon of May 30, 2014.
they've been to the Twin Lights and Mount Mitchill Scenic Overlook. also very beautiful, especially at sunset time and Hartshorne Woods is great for hiking. 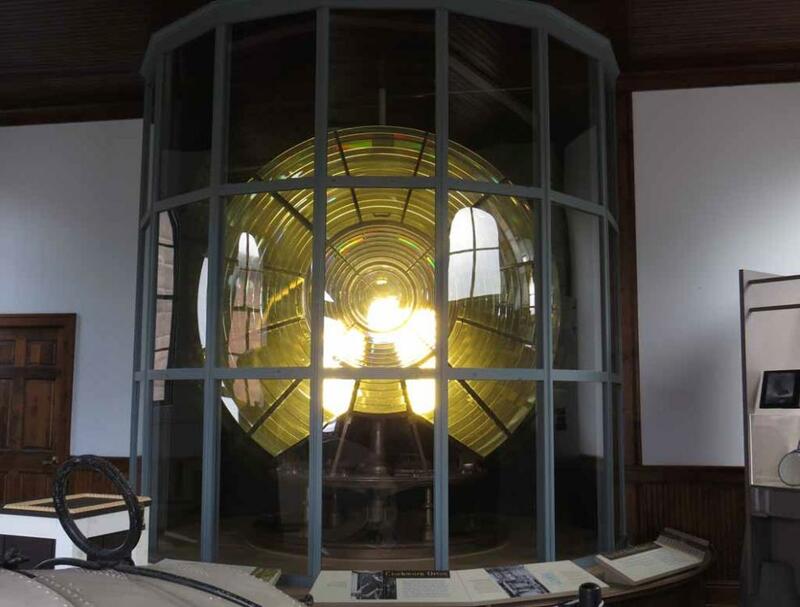 The historical Fresnel lens of the lighthouse is on display in this small museum behind the Twin Light building. 20 miles away on the ocean. I went inside the small museum to get a closer view of the Fresnel lens on display. 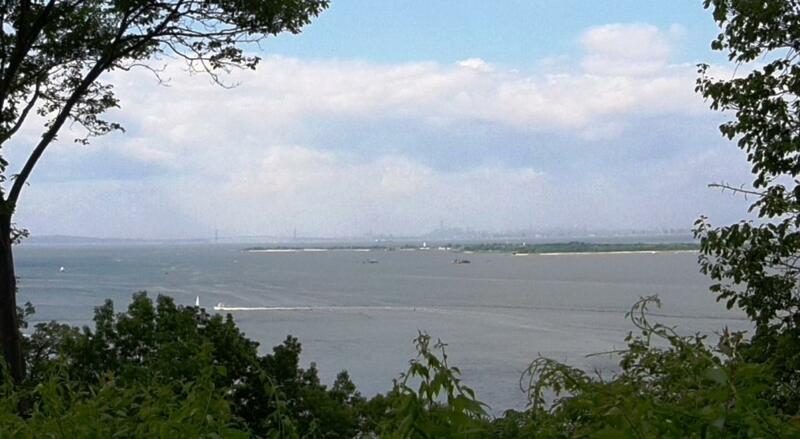 indicates that on a clear day, visitors at Mt. Mitchill Scenic Overlook may see the Control Tower of J.F.K.